The 11th Partnership Platform (PP) of the Comprehensive Africa Agriculture Development Programme (CAADP) took place two weeks ago in Johannesburg, South Africa. As I said before travelling there, expectations were high: it was the first PP since the African Union (AU) Heads of State Malabo Declaration. The theme this year –“Walking the Talk: Delivering on Malabo Commitments”– reflected the objective to shape how the Malabo ambitions and new specific commitments will be translated into action, results and impact. The use of public-private partnerships (PPPs) to promote agricultural development is becoming increasingly prominent in Africa, but has provoked fierce criticism due to concerns about their impact on local communities. There is a clear need for these instruments to mitigate the risk of large-scale investments to these communities and to ensure best practice is followed. L’universalité est l’un des aspects clés de l’agenda global post-2015, mais que signifie-t-il pour les relations ACP-UE ? 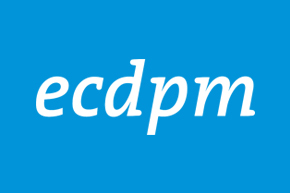 Jean Bossuyt et Niels Keijzer se penchent sur cette question dans ce blog ECDPM. There is a need to readily embrace the complexity and diversity of public-private partnerships and focus on how to translate broad principles into operational tools.